Clear precise Hallmark depicting this lovely item was made in 1930 by the prestige silversmith Henry Matthews in England! Mooshy La La’s V.I.P. Shopping Club. 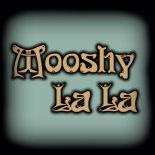 Mooshy La La’s Private Christmas Shopping Club… How would you like a couple of hours Christmas shopping with your friends, in private , at Mooshy La La? Enjoy a couple of glasses of bubbly in a relaxed atmosphere where you can find that perfect dress for the festivities or pick up a few exclusive gifts, or even choose something for your “Wish List” & I can let Santa know exactly what you are after! Yes! – but is it a ‘Real BIBA’?